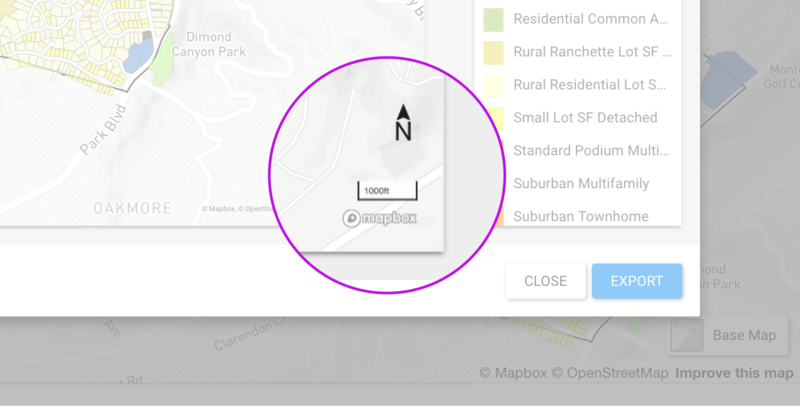 Map Snapshot Tool: Click the camera icon to quickly export just the map (no size configurations, no legend). Map Layout Tool: Click the Export button to set scale, orientation, page/image size, image quality, and whether to include a legend. Use the Map Snapshot tool (the camera icon) to take a screenshot of the map as it appears in your browser. Taking a Snapshot will download a file named urbanfootprint-map.png. Image resolution will be the same as your laptop screen or monitor. Scale: Choose between common map scales. Orientation: Choose between portrait or landscape. Page: Choose desired print size or image size. Image Quality: Select desired print resolution or screen resolution. Include Base Map: Choose whether to include the base map in the exported map. Map Export also includes controls for the placement and content of the legend. Legend Placement: Choose between no legend, place the legend on the top right of the page, or export the legend as a separate image file. 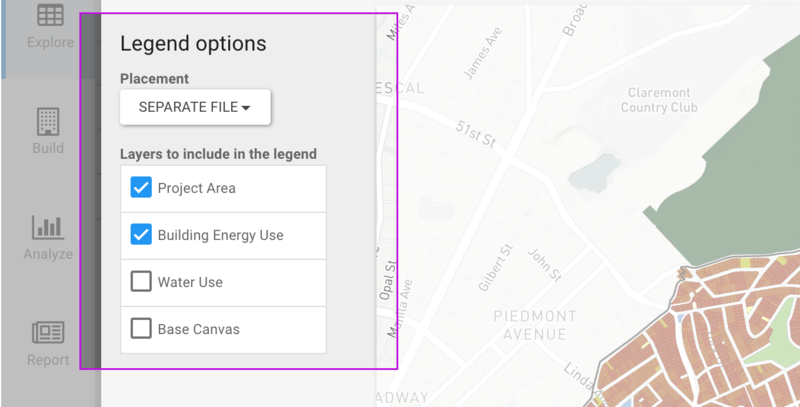 Layers to Include In the Legend: Only layers that are checked on in the Explore Mode layer list will appear in the map layout window. Uncheck any layers that you want to exclude from the legend export (the layers will remain visible on the map, but will not appear in the legend). The scale bar and compass mode (north arrow) are also standard cartography elements in the exported map. 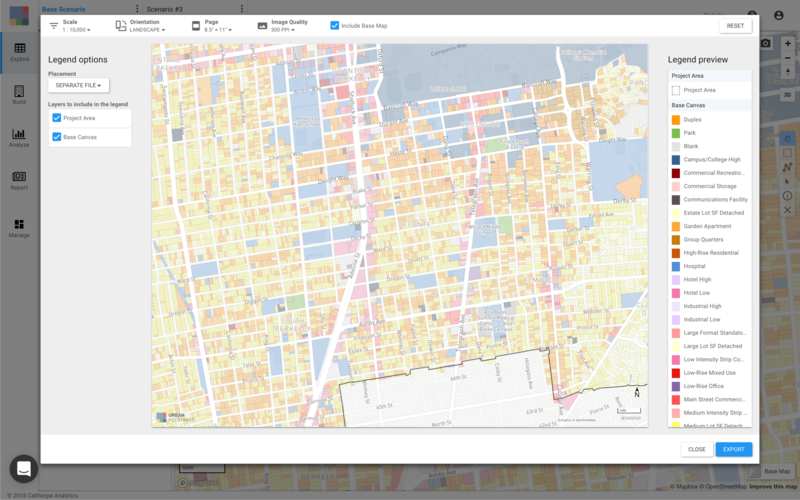 UrbanFootprint's export feature makes it easy to quickly export the map as viewed on screen and to create customized map displays that highlight the most important features of your map.